New tax laws implemented in 2018 have changed some of the tax benefits of philanthropic giving. Here are some common questions and a few ways to maximize your tax-advantaged giving under the new rules. Q. Can I still make tax-deductible gifts to my favorite charities? What steps should I take before December 31? A. Recent changes in tax law for 2018 have nearly doubled the standard personal exemption. This means that people who formerly itemized their charitable gifts for tax-deductibility may no longer see a tax benefit when giving at the same giving level. When asked why they give to their favorite nonprofits, most people will speak about the good work being accomplished or share their feeling of duty and pride in “giving back” to an organization, community or alma mater. Rarely do they mention the tax benefits of philanthropy as a primary motivator. Yet, if you’re going to be charitable, it makes sense to give in the most tax-advantaged way possible. To maintain the tax benefit, you may wish to consider “front-loading” your generosity by creating a donor advised fund before December 31 with your local community foundation, such as the Community Foundation of the Hudson Valley (CFHV) or another charitable entity. The CFHV allows donors to establish a fund with a minimum gift of $5,000; other community foundations may have different policies. Q. A donor advised fund sounds like a great idea, but I don’t have $5,000+ to give right now. My gifts are normally $25-$100 to a variety of organizations. What are my options? A. If possible, please keep giving as generously as you can to the organizations you love, regardless of the tax laws! GuideStar expects that the nonprofits stand to lose between $13-$20 billion in donations this year, due in large part to new tax laws. Your favorite organizations need your support now, more than ever, as they grapple with fulfilling their mission despite the new economic landscape. We’ve found that most people give because they are charitably inclined, and the cause is meaningful to them. The tax deduction is a bonus. Leave your family in your will and make charitable gifts from your retirement funds. When my clients are talking about making charitable gifts from their estate when they pass on, I will suggest that they consider using their retirement funds instead, since charities do not pay income tax on funds donated from retirement accounts. You can set up a donor advised fund to be created upon your death with your retirement funds, and you can designate family members or other trusted persons as advisors on the fund, to ensure that your charitable wishes are met.If you leave retirement funds go to a spouse, your spouse can do a rollover and recalculate their required minimum distribution. However, if you leave your retirement accounts to a child or another family member or friend, they will have to being taking money out of the account immediately and continuing throughout their life expectancy. Depending on their tax bracket, they could lose 20% or more of their inheritance to income taxes. A better option is to name your family members as beneficiaries of assets in your will, as those assets are not taxable on receipt. The New York State estate tax exemption is currently $5.25 million. If your estate is worth more than that, then your gifts to charity will reduce the size of the estate. When you reach the age of 70 ½, you will be required to take a Required Minimum Distribution (RMD) from your tax-deferred IRAs and 401(k)s, and those funds are taxable. However, if you meet the age requirement and do not need your RMD for living expenses, you can transfer up to $100,000 each year from an IRA directly to an eligible nonprofit and exclude that amount from your taxable income. Married couples filing jointly can transfer up to $200,000. If the funds are in a 401(k) account, you might need to roll-over into an IRA to take advantage of this option. Since the funds are transferred tax-free, these gifts do not quality for an additional charitable contribution tax deduction. Of course, you will want to consult with your tax and legal advisors to determine which charitable giving and estate planning options are best for your situation. If you have questions or would like to learn more about various charitable options or update your estate plans, please call us at McCabe & Mack LLP. We would be pleased to help you. If you have any questions, please feel free to reach out to me personally at 845-486-6868 or by email. Ellen L. Baker, a partner with McCabe & Mack LLP, is a graduate of Union College and Albany Law School of Union University. She has more than two decades of experience helping clients with their estate planning, estate and trust administration and elder law needs. 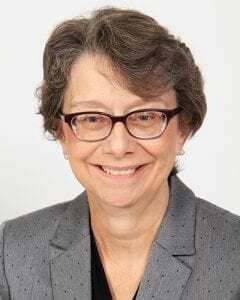 A member of the National Academy of Elder Law Attorneys and the Hudson Valley Estate Planning Council, she also serves as a board member with the Community Foundations of the Hudson Valley, the Dutchess Community College Foundation, and as a Lifetime Honorary Member of the Anderson Center for Autism/Anderson Center Services. She is a member of the Poughkeepsie/Arlington Rotary Club. Ellen and her husband Jim reside in Poughkeepsie. They have three grown children and a beautiful grandson. In her free time, Ellen enjoys reading and traveling.